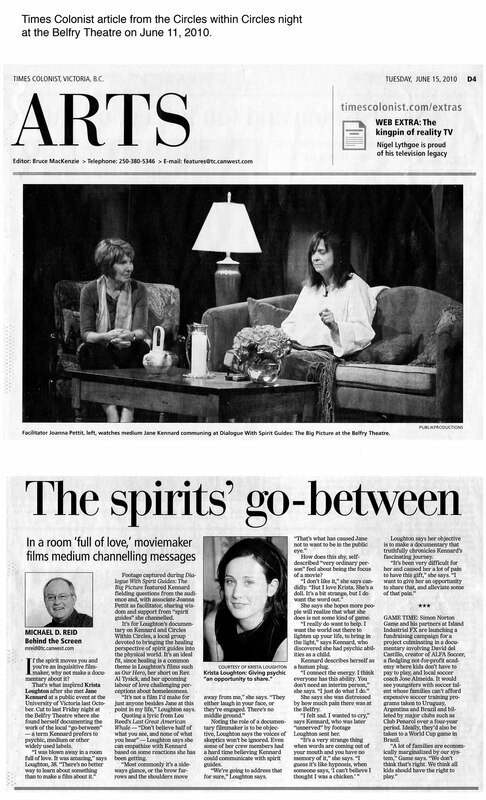 Click Here for a pdf of the text from the Times Colonist, The Spirits’ Go-Between article by Michael D. Reid, 2010. 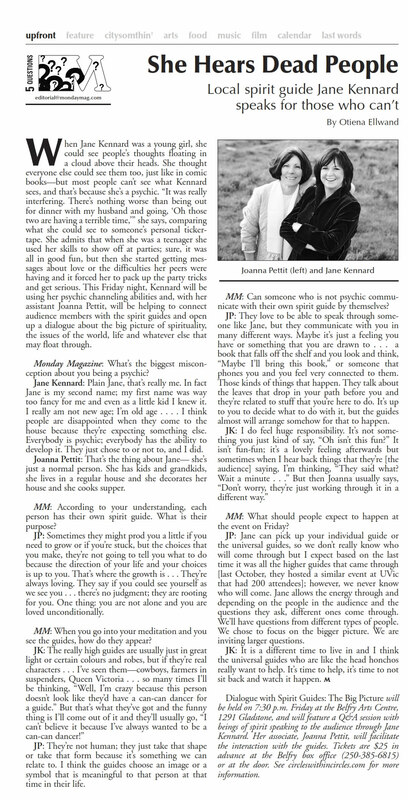 Click Here for a pdf of the Monday Magazine article by Otiena Ellwand about The Big Picture event, June 9th, 2010. 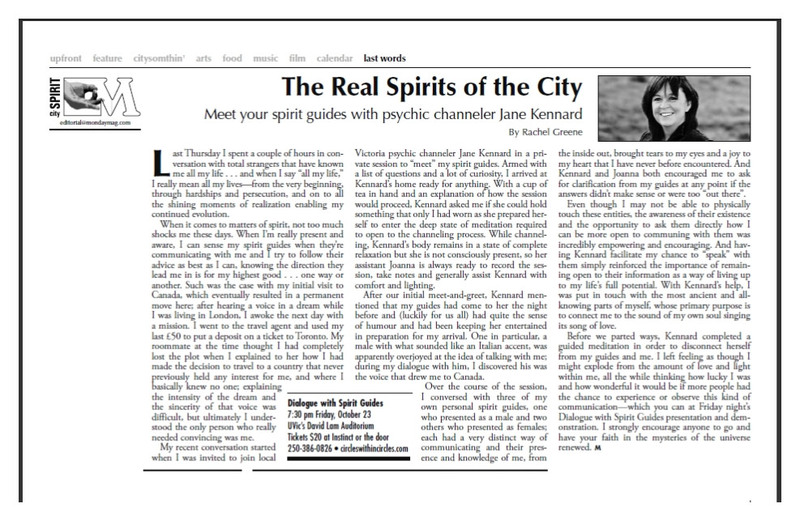 Click Here for a pdf of the Monday Magazine article by Rachel Greene, The Real Spirits of the City, October 2009.